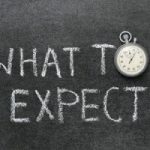 Dumpster Rental Solutions is the best source in greater Columbus, Georgia, for affordable, high quality dumpsters. We offer a wide range of sizes, all designed to help you handle any clean-up job, large or small. Truth is, we have the biggest selection of dumpster sizes anywhere in Columbus or surrounding areas. And as a local Columbus company we can offer one-stop dumpster rentals, saving you time and money. Columbus homeowners love the convenience of renting from us because they can find the right dumpster size, at the right price, for any home renovation or remodeling project, no matter how big or small. Whether you’re doing a minor remodel or a complete home overhaul, we have the right dumpster for you. And we can provide rubber-wheeled trailers as a driveway friendly alternative to metal-wheeled dumpsters. We also offer a total removal service to load and remove all manner of junk. Commercial customers, including Renovation and Restoration Companies, Builders, Landscapers, Demolition Companies, and Roofers all take advantage of our wide selection of rental dumpsters. At Dumpster Rental Solutions absolutely no job is too big or too small, from home remodels to building demolition and everything in between. Let us know about your job and we’ll suggest an appropriate dumpster size. 10 Yard Dumpster – Great for small areas where space is an issue. We deliver this dumpster with a smaller truck and it fits nicely into a standard parking space. 15 Yard Dumpster – Outstanding choice for limited space areas. 20 Yard Dumpster – Ideal for large garage, attic or basement cleanout jobs, as well as flooring and carpet removal or multiple room rehab projects. 30 Yard Dumpster – Excellent for home construction or large remodeling jobs, major landscape projects, and entire house or commercial cleanout projects. 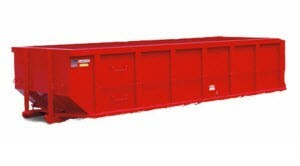 40 Yard Dumpster – This one is great for exceptional quantities of debris removal. Portable Toilets and Storage Containers are available for rent with us at any time. 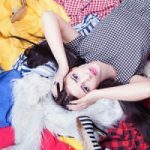 Total Junk Removal Services is a sensible alternative if you’d like to leave the dirty work to Dumpster Removal Solutions instead of handling it yourself. We send you a two-man crew to load your debris and remove it; and we take away anything except hazardous waste. You only pay for the debris we remove. Most items our crew removes will be recycled, donated, repurposed, or reused.